Walter Navie was a 20-game winner in the minors and headed for a career with the White Sox. But four years of military service ended in tragic circumstances. Using his real last name of Nawiesniak, Walt Navie, a 17-year-old left-handed pitcher from Harrison Technical High School, Chicago, Illinois, signed with the Rock Island Islanders of the Class A Western League in 1935. In his professional debut for the Islanders against the Davenport Blue Sox, he survived seven innings without allowing a hit, but so did the opposing pitcher. In the eighth inning his control wobbled, he allowed three hits and was beaten, 2–1. It was to be the highlight of an otherwise forgettable trial in which he finished with an 0–5 won-loss record in 10 appearances before getting his release. Later in the year he caught on with the Greenville Buckshots of the Class C East Dixie League, pitching in eight games for a 2–4 record. The following year, in between working for the International Harvester Company, he made four appearances with the Crookston Pirates of the Class D Northern League for an 0–2 record, and also compiled a 2–4 record in the Class D Alabama-Florida League with the Panama City Papermakers and the Enterprise Browns. In 1937, he returned to minor league baseball under the abbreviated name of Walt Navie, and made five appearances with the Newton-Coroner Twins of the Class D North Carolina State League. It was in 1938, at the age of 20, that Navie finally got into the swing of things. Signing with the Chicago White Sox organization he was assigned to the Rayne Rice Birds of the Class D Evangeline League where he led the pitching staff with a 16–11 won-loss record in 33 appearances. He was back with the Rice Birds in 1939 for a career-best 20–11 record, a 2.27 ERA and a league-leading 223 strikeouts. On August 5, Navie played in the Evangeline League All-Star game at Lake Charles, Louisiana, and then made four late-season appearances for the Shreveport Sports of the Class A1 Texas League. He began the 1940 season with the Marshall Tigers of the Class C East Texas League, and was 7–2 in 13 appearances when he rejoined Shreveport for the remainder of the year. Navie was 2–4 with the Sports and earned a spot on the White Sox spring training roster for 1941. On March 6, he made a relief appearance for the major league team in an exhibition game against the Hollywood Stars, hurling two scoreless innings in Chicago’s 8–0 win. On March 29, he made another relief appearance, this time against the San Diego Padres, pitching five scoreless innings after Orval Grove allowed three runs in the Padres 3–1 win. Despite these performances, and since the White Sox had a steady starting rotation of Ted Lyons, Thornton Lee, Eddie Smith and Johnny Rigney, Navie was optioned to Shreveport the next day where he appeared in 23 games during the regular season for a disappointing 4–8 record and 4.13 ERA. Navie was carried on Chicago’s National Defense Service List when he entered military service with the Army on February 21, 1942. As Private First Class Nawiesniak, he served in the Pacific with the military police at Guadalcanal where he suffered from recurring attacks of malaria. In October 1945, with the war over, the 28-year-old was stationed at El Paso, Texas, where he had gotten married in the spring. 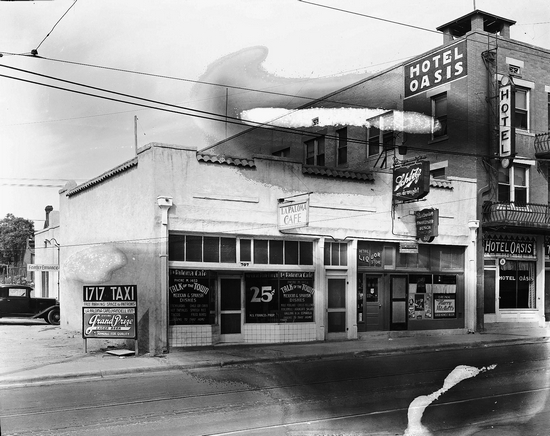 On Friday, October 5, 1945, Nawiesniak was on duty at the Union Depot Railway Station before returning to the Hotel Oasis at 711 North Oregon Street, where he was living with his wife, Maxine. Although fellow MPs said he had been in good spirits recently, Walt and Maxine had been having marital problems. Walt had threatened to kill himself several times and Maxine had filed for divorce the previous day. At around 1 pm, Maxine left the hotel to go shopping and when she returned at 5 pm she found her husband lying on the floor in a pool of blood; a .45 caliber Army revolver beneath his dead body. On October 10, Justice of the Peace Charles Windberg, Jr., returned a verdict of suicide. Nawiensniak had shot himself through the left side of his head at around 2pm. He had left two notes. "Dearest Darling Mommie: I've waited for one and a half hours and I have to go to work now - Please call me at Main 6478 or I'll call you. Daddy. P. S. I love you." "Dearest Darling Mommie: Dear, I'm sorry you're not home. I really wanted to talk to you for the last time. Goodbye Mommie, I love you always. Daddy." Harry Grabiner, the Chicago White Sox general manager, said he was "very sorry to hear" of Nawiesniak's death. He described the soldier as "a fine young man, a very promising pitcher."